Valentine’s is one of my favorite holidays. So I rounded up a little shopping inspiration for you! 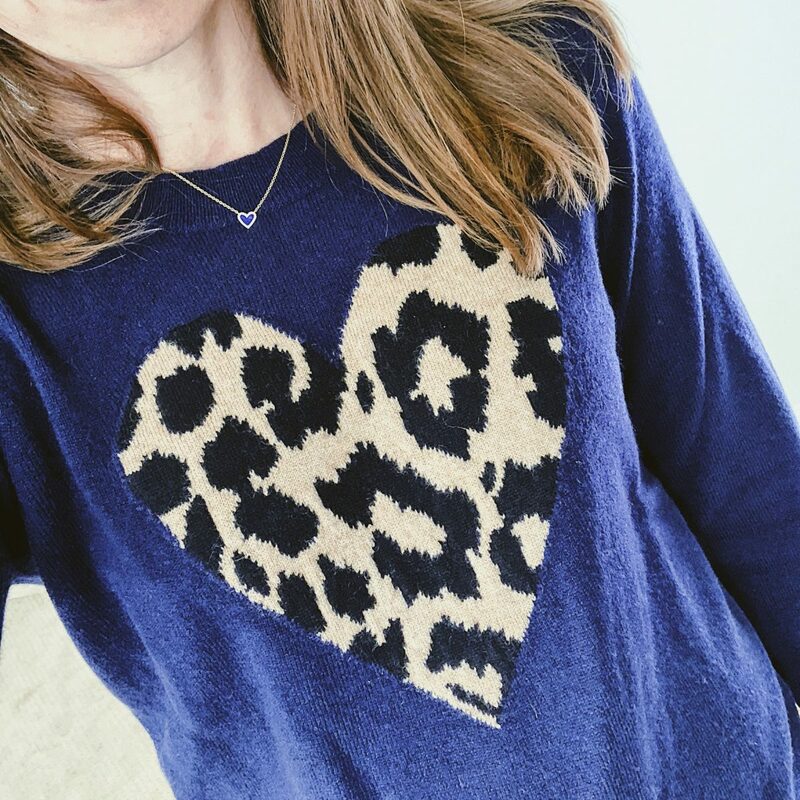 -this navy cashmere leopard heart sweater, pictured above. I rarely say no to navy cashmere! 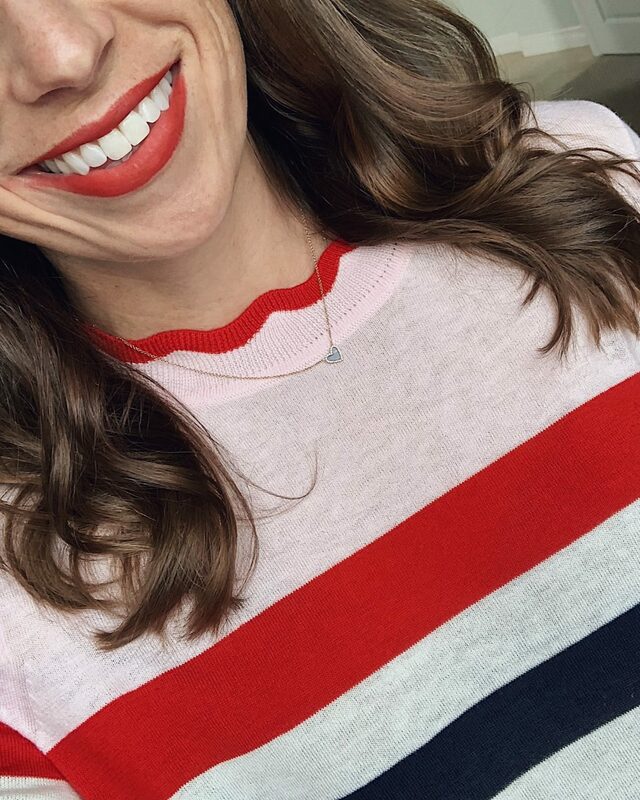 -this pink, navy and red scalloped neckline sweater has been an instagram favorite. -being in San Diego with very sunny summers, I always get sun shirts for my kids. This girly navy heart rash guard is currently in my cart. -this navy heart sweatshirt, and matching pants, are what inspired this post! -I feel off my chair when I saw this black and white heart printed dress.